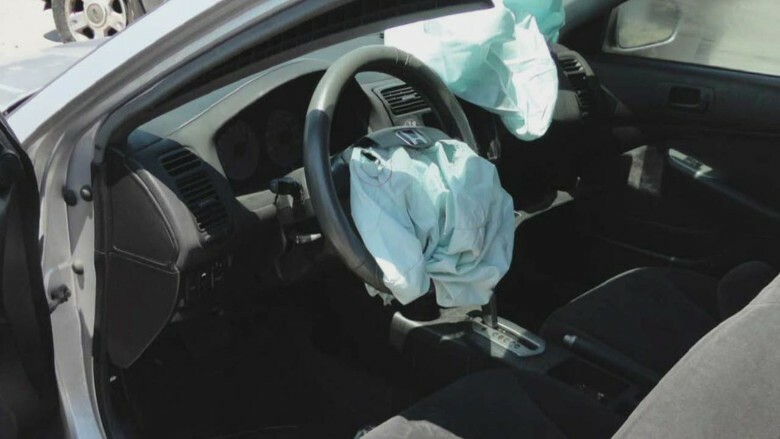 The expanded Takata airbag recall alone affected 34 million cars. There have been roughly 100 million vehicle recalls in the United States since the start of last year. And most of the affected cars have yet to be repaired. There were a record 74.2 million recalls in 2014, according to the National Highway Traffic Safety Administration. And there have already been 25 million recalls in 2015, according to Kevin Pollack, vice president for Stericycle ExpertSolutions, which helps automakers manage recalls. Precisely how many vehicles have been recalled isn't known, because some have been recalled multiple times. But there are currently 254.7 million cars and trucks on U.S. roads according to IHS Automotive reports, which means that if your family owns two or more cars there is a good chance that one of them has been recalled. The Takata airbag recall, which was expanded this week to include a record 34 million cars, has played a big factor in the massive recall numbers for this year and last year. Related: Recalled cars with exploding airbags - Is yours on the list? GM's 2014 ignition switch problem, which can cause cars to shut off while being driven and has been tied to at least 104 deaths, has also boosted the volume of recalls. GM (GM) ultimately admitted its employees were wrong to delay that recall for nearly a decade. Many owners never get their cars fixed, even though the repairs are free. There are about 60 million recalled vehicles on the road that have not been repaired, according to CarFax spokesman Chris Basso. "These are safety issues that can cause injuries. Each one needs to be taken seriously," he said. Car owners can use a free CarFax app to run their license plate number and check if their vehicle has been recalled. NHTSA has a free app which allows drivers to look up their cars using the Vehicle Identification Number or VIN.